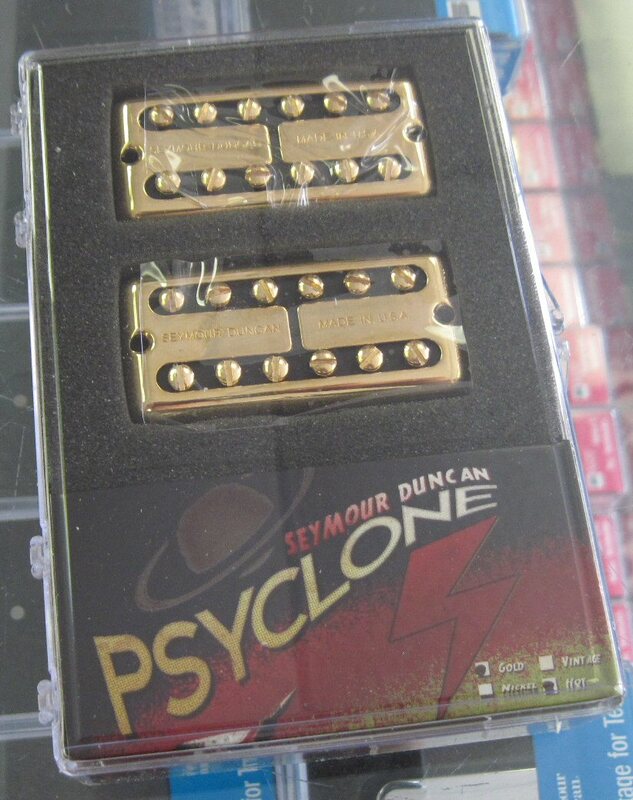 Seymour Duncan Psyclone Vintage Set. Gold. 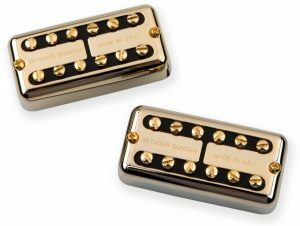 The Psyclone Vintage pickup set is a drop in replacements for any guitar routed for Filter’Tron style pickups, and includes the correct hardware for either direct mount or pickup-ring mounting options. Psyclone is hum cancelling and uses single conductor lead wire. Each Psyclone pickup is handmade in Santa Barbara, CA.